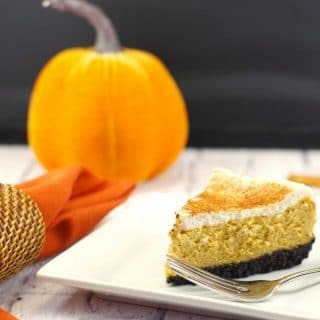 I don’t know about you, but I am still in recovery from the turkey and pumpkin pie holiday overload. Like most people, I sort of go into a state of withdrawal. I know I can’t continue to eat all the fattening and unhealthy stuff I enjoyed over the holidays, but cold turkey is too much to ask! That’s where the guys come in…. These Gluten-free & Vegan No Bake Energy Bites are perfect for your post holiday rehab. Delicious and easy, they make a great healthy dessert or snack. And you still get your holiday flavor fix! I spend most of November and December enjoying the festive cranberry, apricot and pistachio flavors in my Holiday Biscotti with my coffee each morning, so it’s hard to cut myself off come January. And that’s yet another reason to love these healthy energy bites! They are the perfect post holiday biscotti substitute! 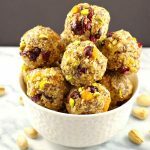 But they aren’t just for post holidays, these energy balls also make an excellent healthy and festive snack to have around during the holidays! Why not get a head start on healthy eating?! 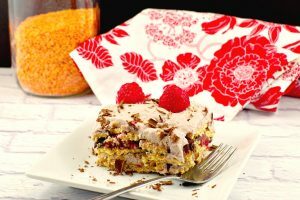 And if you like the subtle licorice flavor in this healthy energy balls recipe, then give my healthy No Bake Chocolate Raspberry Lentil Dessert Lasagna a try. You’d never know the are lentils in it! REMEMBER: It’s not what you eat between Christmas and New Years, it’s what you eat between New Years and Christmas that really counts! These healthy gluten-free and vegan NO BAKE energy bites with anise, fennel, cranberry and pistachio flavors are the perfect delicious post-holiday snack! In a mixing bowl, stir together almond butter, agave, vanilla and almond extract. .
Add oats, coconut and chia until evenly coated. Add 2 Tblsp of water. Stir in pistachios or almonds, cranberries, apricots, anise and fennel seed. At this point, if mixture still doesn't stick well, stir in additional water, as needed. Transfer mixture to refrigerator for about 10 minutes or until easier to handle. Remove from refrigerator and shape into 1-inch balls. Store in refrigerator in an airtight container. They also store well in the freezer for up to 4 months. A healthy twist on the no bake chocolate cookies I used to make the kids years ago. This looks far less guilt inducing! Thanks, Sue! Yes, it’s very guilt-free. I make a holiday biscotti with similar flavours and tried to morph them into something a little less indulgent! Hi, I love that these have both coconut and anise. One to save for later to try. Thanks for sharing, Chloe. This sounds and looks delicious. It is my favorite kind of dessert….raw and vegan. Yum. Thanks, Peta. They are so easy and portable – love them for my snack or dessert at work!